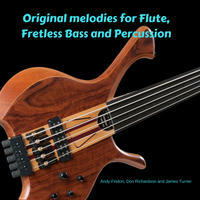 Andy Findon : Original melodies for Flute, Fretless Bass and Percussion. A selection of tracks, featuring various flutes, percussion and the haunting sound of the fretless bass. Composed and recorded by London musicians Andy Findon (flutes), Don Richardson (fretless bass) and James Turner (percussion). The use of the fretless bass, unusual types of flutes and imaginative percussion instruments makes these pieces fascinating listening. The music encompasses many emotions and styles, creating unique soundscapes and moods. 크레이지슬롯 사이트Play the music of Andy Findon in your restaurant or store.